Ray Camacho, owner of Genesis Physical Therapy, finished his undergraduate work at California State University, Northridge with an emphasis in exercise science. This is where he developed a deeper appreciation for working with patients affected by musculoskeletal and neurological impairments, primarily those affected by Multiple Sclerosis and Cerebrovascular Accidents. He later went on to earn his Doctoral degree in Physical Therapy from the University of St. Augustine, in which world renowned founder Stanley Paris is recognized as one of the highest leaders and contributors to the field of orthopedic manual physical therapy, working with the likes of Kaltenborn, Mulligan, and Maitland. 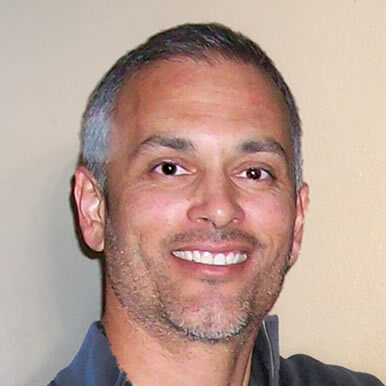 Ray has whole heartedly established his philosophy and practice in the concepts of Paris, which are focused on restoring joint mobility with precise joint specific mobilizations, treating dysfunction rather than pain, and restoring balance to the entire system through objectively backed scientific research, clinical examination, and biomechanical analysis. Ray continues to accept the challenge of staying current in his field by taking advanced continued education courses in which he has become certified in Applied Functional Science (AFS) 3D Movement Analysis and performance System (3DMAPS), Manual Therapy Certified (MTC), and Myofascial Manipulation certified. Using his skill sets to the fullest, Ray has devoted his efforts to helping his patients achieve the highest level of rehabilitation possible, and in turn, get them back to life. Ray and his wife of 22 years, Mariana, have been blessed with 3 beautiful children. Commitment to church and family has helped him develop perseverance in his Christian faith. “For the testing of ones faith develops perseverance and perseverance must finish its work so that we are complete and not lacking.” (Jm. 1:2) When he is not tending to his patients he enjoys playing guitar, hiking, camping, and spending time with his family and friends. © Genesis Physical Therapy 2014. All right reserved.